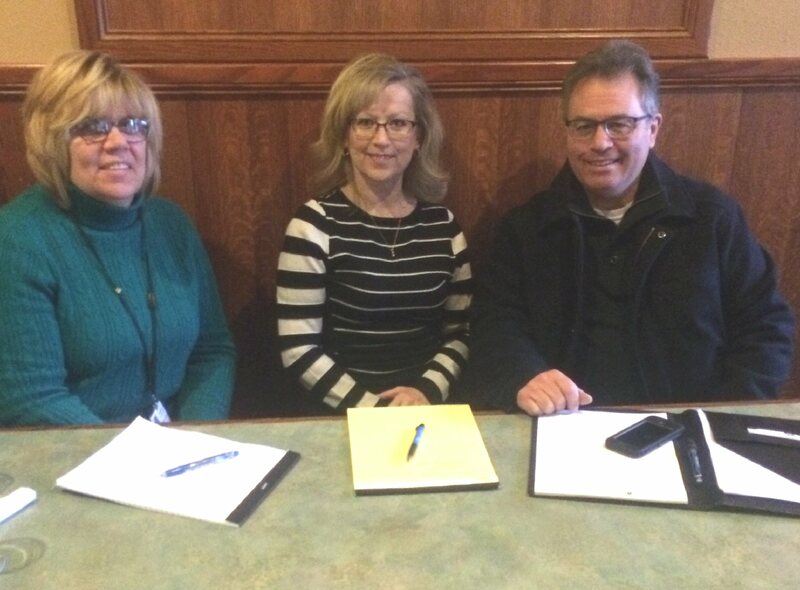 FULTON, NY – Committee members for the United Way of Greater Oswego County’s Stone Soup Too Luncheon meet to plan the menu for this year’s event. From left are Helen Hoefer (Catholic Charities of Oswego County), Karen Hubel (Blue Moon Grill), and Steve Chirello (Chirello Advertising). Absent are committee members Jan Rebeor (community member), Kathy Piper (Oswego County Opportunities) and Catherine Trowbridge (City of Fulton). To be held April 11 from 11:30 a.m. to 1:30 p.m. at Holy Trinity Parish, 309 Buffalo St., United Way’s Stone Soup Too Luncheon will feature a variety of soups, salad and dessert, provided by local restaurants and small businesses. The community luncheon serves as a fundraiser for area food pantries and a way to raise awareness of United Way’s goal of ending hunger in Oswego County. The Stone Soup Too Luncheon is open to the public. United Way will be accepting donations of $5 per person at the door and attendees are encouraged to please bring a donation of non-perishable food items. There will also be a number of drawings and door prizes during the luncheon. All proceeds and food donations from the luncheon will be used to support area food pantries including Catholic Charities of Oswego County, Salvation Army of Oswego County, and the Hannibal Resource Center Food Pantry.